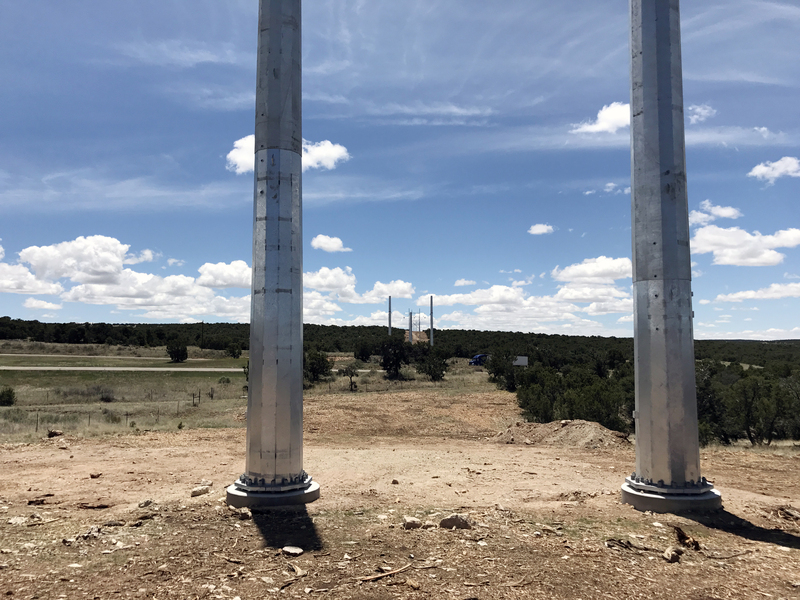 El Cabo Wind Generation | David Evans and Associates, Inc.
DEA assisted with the development of a 300MW wind generation facility east of Albuquerque, New Mexico that interconnects with Public Service Company of New Mexico’s switchyard located north of Clines Corners, New Mexico. The generation project is generally known as the El Cabo Wind Generation Project (El Cabo). This Project is Phase I of a three-phase wind generation facility that will total 700MW, with associated transmission line. 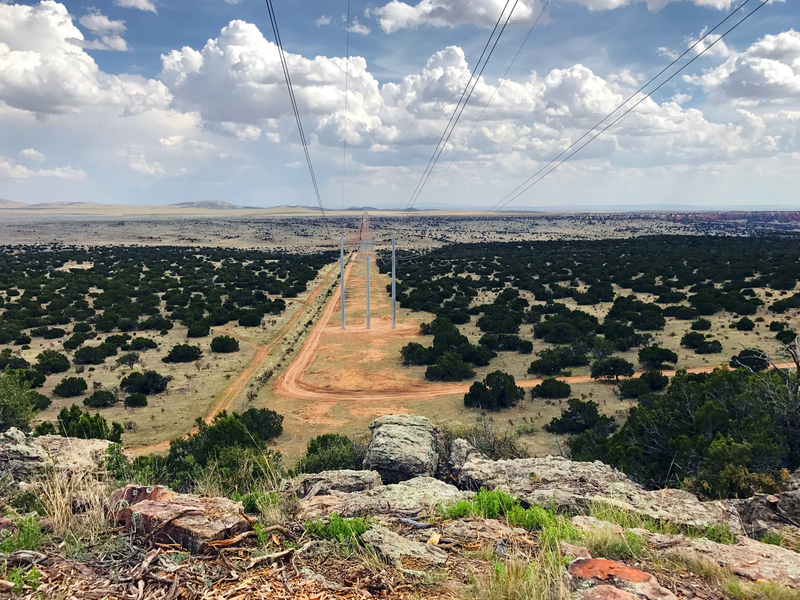 The El Cabo Project substation increases the generation voltage from 34.5kV to 345kV for transmission from the project substation to PNM’s switchyard. 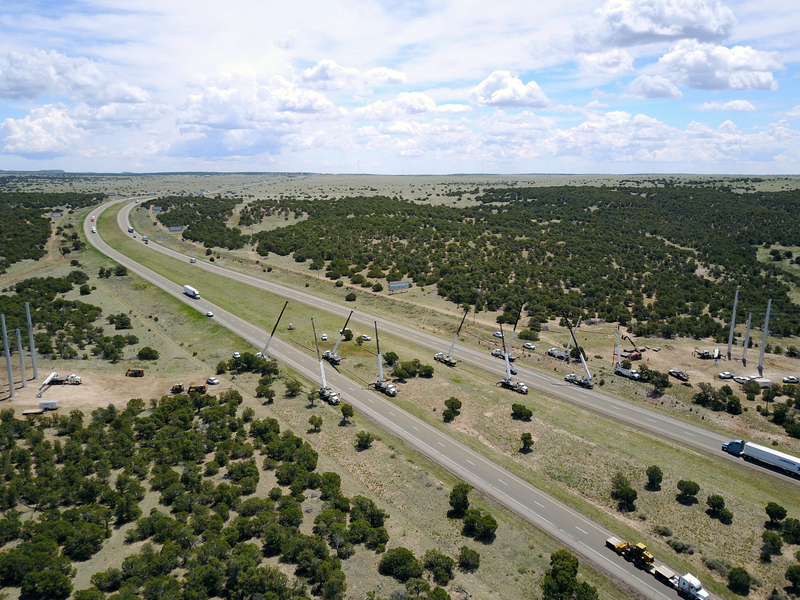 DEA’s main role was to design the 29.6 mile 345 kV generation tie-line from the project substation to PNM’s switchyard. 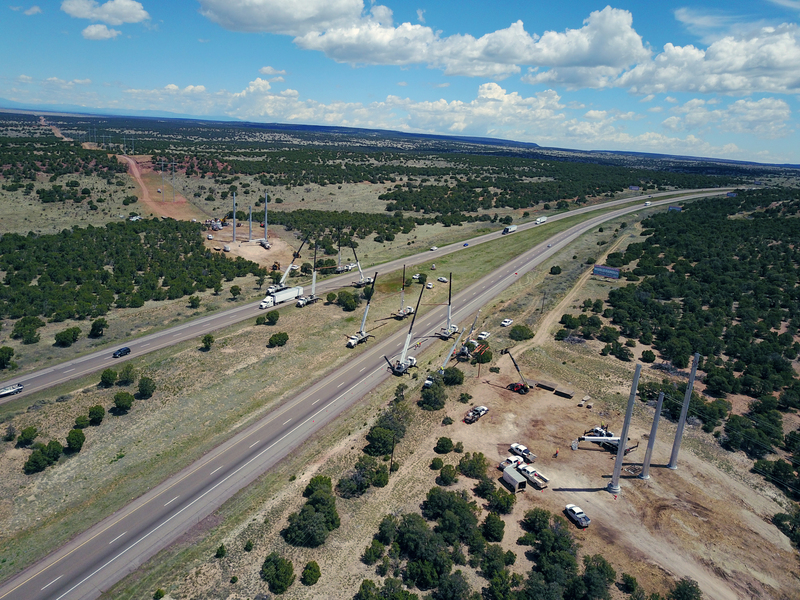 DEA was responsible for all design requirements related to the 345 kV gen-tie line to include design and specification of all hardware, conductors (including communications and shielding conductors), support towers, and temporary facilities as required for crossings, etc. DEA supported the Owner through construction of the 345 kV transmission line by assisting with efforts to bid and award the construction contract for the transmission line including regular visits to the project site during construction. DEA’s final efforts under this scope of work provided the Owner with a comprehensive as-built record to include asset record drawings, material order sheets as provided by the construction contractor, and line testing/commissioning reports of the completed facility. DEA also provided inspection services and documentation for this project, with inspectors living on-site throughout the project duration.